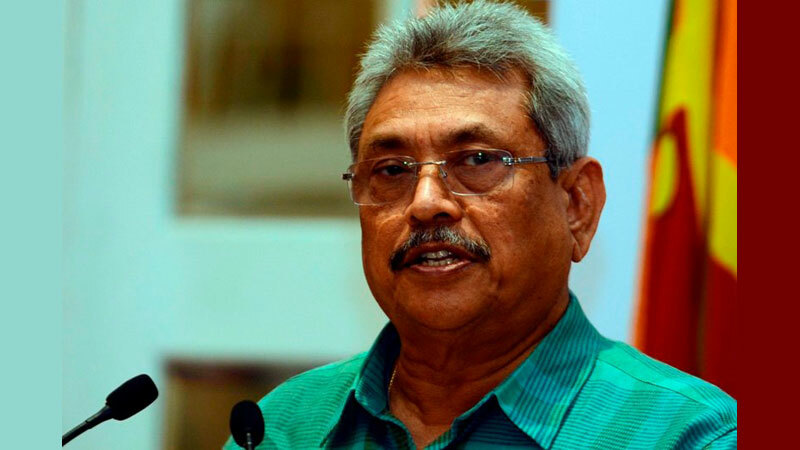 The Colombo Permanent High Court-at-Bar yesterday overruled preliminary objections raised by former Defence Secretary Gotabaya Rajapaksa and six others in the D.A. Rajapaksa Museum case. While, overruling the preliminary objections raised by the defence, the Trial-at-Bar Bench comprising High Court Judges Sampath Abeykoon (President), Sampath Wijeratne and Champa Janaki Rajaratne held that the Permanent High Court-at-Bar has jurisdiction to hear this case and thereby rejected the two preliminary objections raised by the defence. The Permanent High Court-at-Bar observed that Permanent the High Court-at-Bar was established through the provisions of Judicature (Amendment) Act, No. 9 of 2018 and the indictments have been filed with the approval of the Chief Justice. The Court observed that this Court cannot dispute with a decision take by the Chief Justice to file indictments in accordance with the Judicature Act. On a previous occasion, the defence presented two preliminary objections challenging the Permanent High Court-at-Bar’s jurisdiction to hear the D.A. Rajapaksa Museum case. President’s Counsel Romesh de Silva appearing for the first accused Gotabaya Rajapaksa submitted to Court that the High Court-at-Bar has no jurisdiction to hear this case since it was not a case filed under the provisions of Judicature Act. He said the Judicature Act was amended to establish courts connected to financial and economic offenses, but this matter would not come under that category. Deputy Solicitor General (DSG) Dileepa Peiris appearing for the Attorney General submitted to court that the Permanent High Court-at-Bar was established through the provisions of the Judicature (Amendment) Act, No. 9 of 2018 and the matter was extensively debated before the Supreme Court. He further said the Chief Justice’s approval is required to file indictments and this court is empowered to hear some offences that come under the Penal Code, Prevention of Money Laundering Act and Public Property Act. Meanwhile, the sixth accused Devage Mahinda Saliya was not present in court yesterday and court was informed that the accused was receiving treatment at a private hospital for a cancer disease. Accordingly, the case was fixed for February 22 to assess the stance of the six accused whether he pleads guilty to the charges or not. Indictments were filed against seven accused former Defence Secretary Gotabaya Rajapaksa, members of the director board of Land Reclamation and Development Corporation (LRDC) Chairman Prasad Harshan de Silva, Bhadra Udulawathi Kamaladasa, Sudammika Keminda Artigala, Saman Kumara Abraham Galappatti, Devage Mahinda Saliya and Srimathi Mallika Kumari Senadheera under seven counts for allegedly misappropriating LRDC funds of Rs.33.9 million. The seven accused are currently out on bail. Deputy Solicitor General Dileepa Peiris with Senior State Counsel Wasantha Perera appeared for the Attorney General. President’s Counsel Romesh de Silva with Ali Sabry PC and Anil Silva PC appeared for the accused.